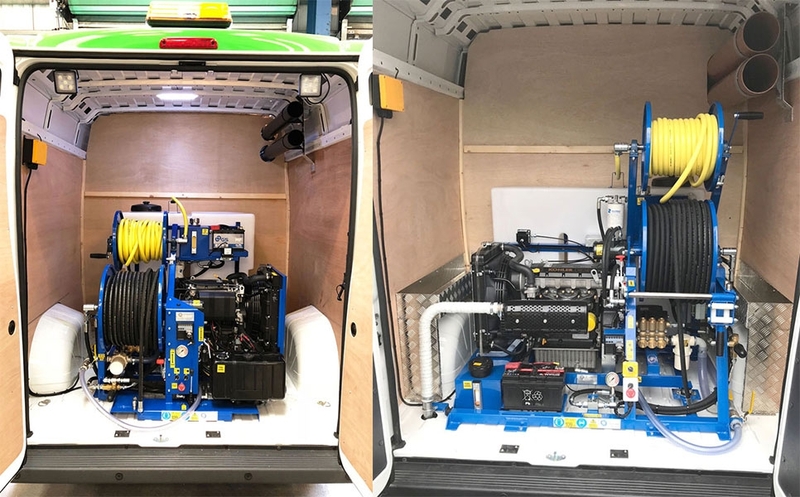 A popular and important part of the company’s turnkey approach to jetting equipment, the conversion service provides contractors with a one-stop-shop for getting fully equipped vehicles on the road, along with satisfying health and safety requirements. As part of the process, the company has looked at the principal requirements of most contractors and devised a standard Drainage Engineer Vehicle Specification. A recent project for Metro Rod (North Midlands and Worcester) is a good example of how the conversion service is adding value. The franchise operates a fleet of eight jetting vans, undertaking a wide range of commercial and domestic drainage work, with a large focus on social housing. 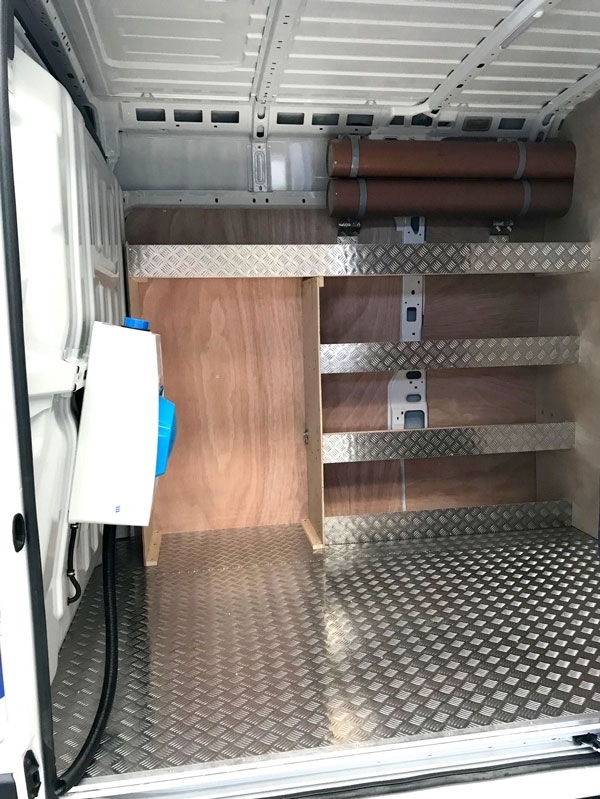 The conversions entailed installing an internal bulkhead installation to create a clean area in the front section of the vans with a checker-plate lined flooring and shelving. High-level rod tubing and jetter working lights and internal LED lighting were also installed. Jon Woods, UK Sales Manager at Andy Guest, says that the van conversion process is an important part of helping contractors realise efficiencies: “The ‘lightweighting’ of jetting units is something that our engineering team has been focused on for several years, and we’ve carried that through to the work we do on vehicle conversions. The company’s Drainage Engineer Vehicle Specification has been designed to simplify the ordering process for contractors and includes the standard requirements for lining, shelving, flooring, lighting and bulkhead installations, with the option to add extras such as welfare equipment and specialist storage solutions.